After the previous week’s damp and misty outing, one might think I’d shy away from excursions for a bit. Dry out. Put my feet up. Enjoy a quiet Saturday. 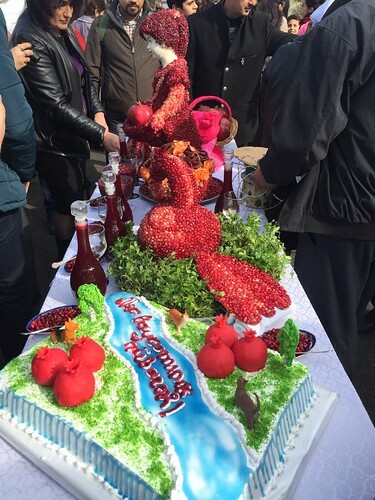 Then again, one might not know that the week after I visited Chirag Gala was the week of the annual pomegranate festival, and Sabina and Bag Baku were offering a day trip including transport, breakfast and, one had to assume, a lot of pomegranates. Pomegranates are, of course, one of the most traditional foods of Azerbaijan and are grown in many areas. One of those is Goychay, home of the Pomegranate Festival, and our goal for the day’s trip. Goychay is quite a ways from Baku - the trip there was about 3 hours long, and started very early. This was fine on the way there, when the sun was shining and there was scenery to look at. I found the landscape weirdly familiar, as would anyone who’s driven across the prairies. 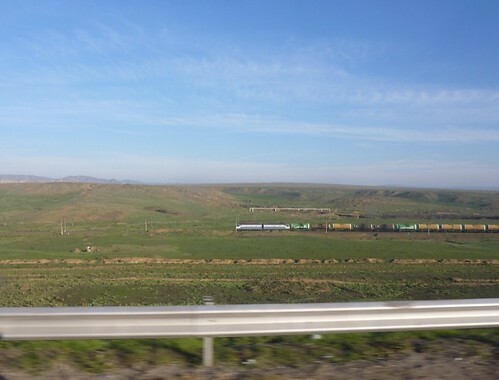 Long straight road, railroad running alongside, generally flat land, and some hills off in the distance. What’s missing is fields of waving wheat and grain elevators, but all in all it was sort of homey. The Bag Baku group this time was surprisingly diverse; I think this is the first time I’ve been the only native English-speaker in a tour group. We had people from Azerbaijan, Poland, Egypt, Germany, Switzerland, Singapore and Iran. Like I said, diverse. After arriving we all sat down to a traditional Azeri breakfast at a local restaurant, out in the late fall sunshine at one big table. The menu was pretty standard: sliced tomato and cucumber to start, along with some salty local cheese and lots and lots of bread, served with butter and honey. This was followed by hard boiled eggs in the shell and some alarming looking pink wieners boiled in their plastic wrappers. And of course lots and lots of tea. There was, however, one stand-out offering that I was delighted to discover: qaymaq! Astute Go Stay Work Play Live Readers will immediately notice the linguistic similarity with Serbian kajmak, and it turns out both are pronounced the same way and are a dairy-based sort of spread. However, while I thought that Serbian kajmak was more towards the butter end of the spectrum, Azeri qaymaq is certainly more like cream. Thick, unsweetened and maybe just a touch sour. Azeri creme fraiche perhaps? Whatever the case, it was delicious on bread with a drizzle of honey. And I’ve now noticed it on the supermarket shelves as well, hiding in plain sight all this time! It’s on my list to try again, though I hesitate to make it a regular part of my diet if only because it is really just very very thick cream and I have a limited number of pairs of jeans and I am already finding one pair a tad on the uncomfortably snug side. But back to the pomegranates. After we were fortified with bread and qaymaq, Sabina let us loose at the festival site and we agreed to meet up again four hours later. Even at the time I suspected that four hours was an ambitious amount of time to spend at a small local festival, but off I went. 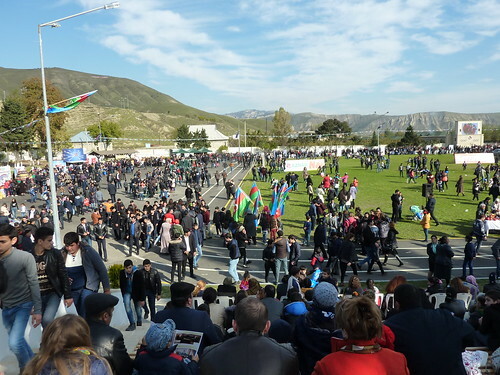 The site was the local outdoor stadium, and when we arrived at about noon the place was already bustling. Around the outside of the running track there were dozens of folding tables set up with people crowded around so I pushed in to see what the fuss was about. 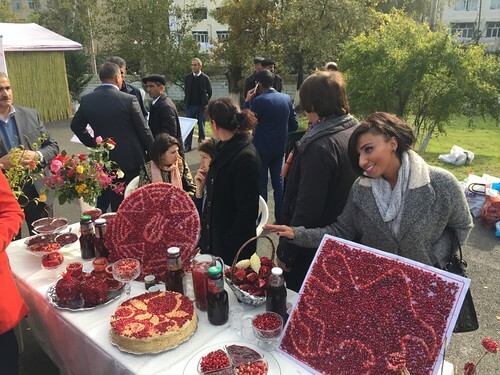 I’m not sure what I was expecting from the Pomegranate Festival, but it was not mosaic maps of Azerbaijan, rendered in different coloured shades of pomegranate seeds. It was an odd yet heartwarming display. Table after table of local people who’d taken the bountiful pomegranate harvest and tarted it up in odd and unexpected ways. There were also lots of plain pomegranates on display, and dishes of Nar Sherab, a sort of savoury pomegranate sauce that’s served with fish or grilled meat. (“Nar” is the Azerbaijani word for pomegranate. Short and to the point, which, given the popularity and ubiquity of the fruit here, is handy). It took about half an hour to make a circuit of the track, and that included stopping the buy a small keychain souvenir half way around. (A hand carved wooden Maiden Tower, 4 AZN.) I also stopped at a stall to pick up some shower gel and hand soap made by a company that does really nice pomegranate bath products and was having a big big sale. Still, even after lingering at the pomegranate wine stall (No samples! 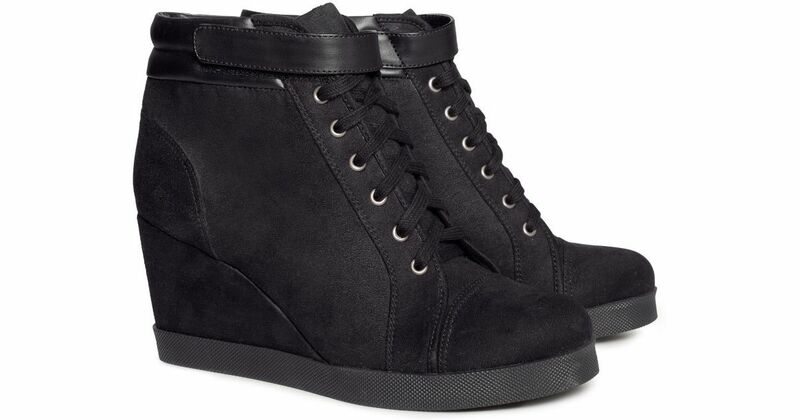 Damn!) and doubling back to pick up Sabina and ask her a bunch of questions, there was still a LOT of time to kill, leaving me plenty of time to wander through another area full of food stalls, and, of course, people selling pomegranates. But here’s the thing that really struck me about the pomegranate festival. It was very… homogenous. In a place with such a remarkable bounty/glut of pomegranates, I’d expected to see people doing all kinds of wonderful and interesting things with them. Pomegranate cakes and cookies. Pomegranate molasses and jam. Pomegranate t-shirts. Pomegranate hats. Pomegranate lip gloss. All the kinds of things you’d expect from a 21st century harvest festival in the western world. Instead, it felt like everyone was doing the same thing. You could buy pomegranates in many different varieties, or pomegranate juice, or nar sherab. With very few exceptions, that was it. The same was true with the food stalls. I'm used to seeing everything from cupcakes to jerk chicken at a festival site. Here, you could get kebabs. Or kebabs. Or, for a change, you could have a kebab. True, they were doing both the minced meat lule kebab and the chunks-of-meat on a skewer kind as well. And there were a couple of different meats available. Also, very popular among the kids was an offering of a large plain bun split open and filled with a cold wiener sliced long ways into quarters, with some kind of red sauce added (I’m guessing nar sherab, perhaps?). It reminded me of that popular kid’s treat - cold uncooked wiener. And there were sweets, all pre-packaged. And tea. Very little diversity of any kind. Then again, that’s kind of emblematic of Azerbaijan in a way. It’s a very homogenous society. Have a look at this picture. See anyone tall and blonde? Probably not. Or if you do, I guarantee you it’s a foreigner. Our time at the pomegranate festival eventually ran out, about 3 hours after one might have wished, but not before I bought a few pomegranates. These included some less common pale yellow varieties, including one very large one that I paid an extortionate 4 manat for. A lot of money in that neck of the woods, but I did not begrudge it. And finally we gathered again for a quick, late lunch and found our way back to the bus for the trip home. Which was an interminable, dark and dull drive and that’s as much as I’ll say about it. 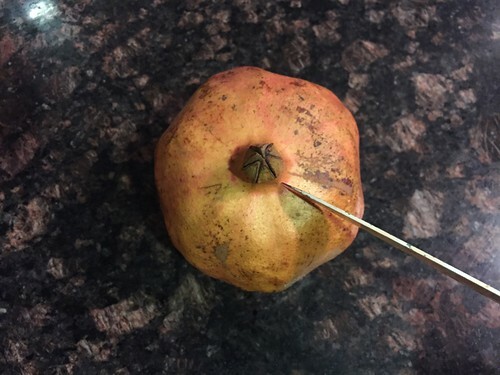 What I will do, though, is pass on my now-standard method of tackling the somewhat tricky pomegranate in the kitchen. Real pomegranate neophytes may not know that it’s only the seeds inside the fruit that are edible - the outside peel and the inside membrane are bitter and unpleasant. The seeds - called arils - consist of a seed kernel nestled inside a tart and juicy outer layer where all the flavour is. 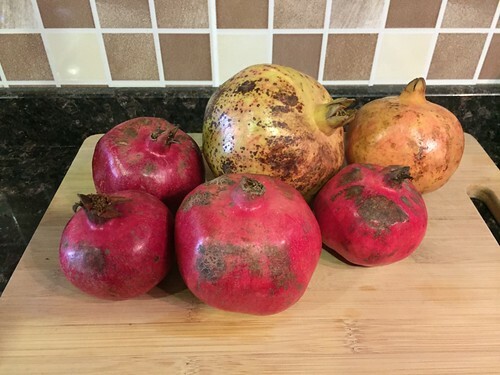 Sadly, pomegranates are a bit like beets in that tackling them unwarily can stain your fingers, hands, clothing, kitchen, wallpaper, and anyone passing nearby, including housemates, children, pets. Worse still, pomegranates seeds that get ruptured have a habit of spraying their juice in a way that reminds one uncomfortably of a scene from “Dexter”. 1. Place a large mixing bowl in the sink and fill with water. 2. 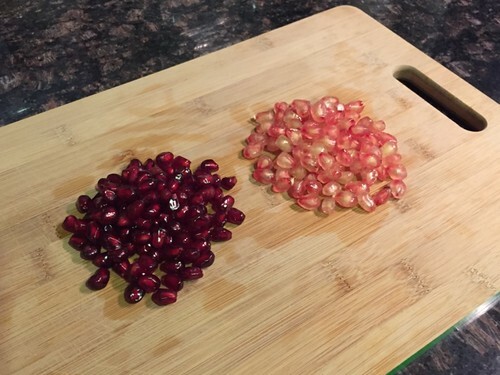 Using the tip of a sharp paring knife, score through the outside skin of the pomegranate along its “ribs”. These can be a bit tricky to identity, but usually you can see from the top that the fruit is not actually spherical but very slightly faceted. Score on the edges of the facets. It’s not absolutely critical to get these cuts perfectly placed, but it does help keep things tidy. It also helps to cut the crown out of the top of the fruit. 3. 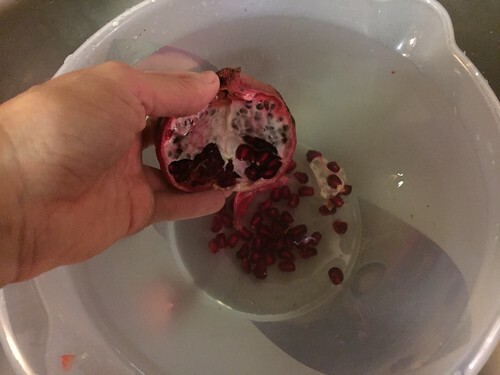 Hold the pomegranate under the water in the bowl and use your thumbs to open it up into chunks, a bit like separating a peeled orange. You should end up with 5-6 sections with most of the seeds exposed. The water will stop any spray, thus protecting your wallpaper. 4. Keeping each sections under water, work the seeds loose from the pith and let them sink to the bottom of the bowl. 5. Discard the big sections of peel and let the small bits float to the top. Skim them off and discard them. 6. Once you’ve got all the seeds out, there will still be some seeds with bits of pith on them. I find if you rub the collection of seeds between your hands most of that comes loose and floats to the top. 7. Drain the water off, along with all the floating bits of pith, leaving a bowl full of tidy seeds, ready to eat. I store them in a tupperware container in the fridge and they stay fine for days. These days I mostly just sprinkle the seeds in my morning bowl of fruit and oats, but they’re also really nice in salads. And they’re often added to pumpkin flavoured qutab too, which is lovely. Or you can sprinkle them over cooked meats. And supermarkets often have fresh juice stands sitting right in the produce section where a young guy will chop open a pomegranate and stick in a squisher device that looks a bit like a medieval torture instrument and extract you a plastic cup of fresh juice. And that is truly as much as I can say about pomegranates. 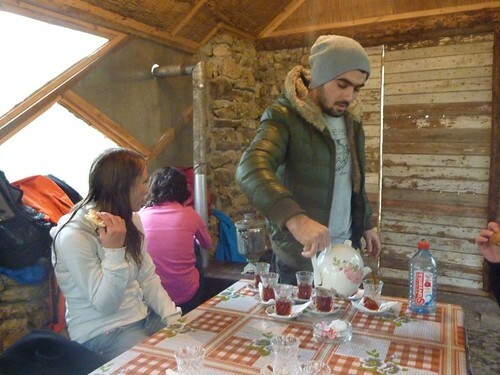 I’m lucky to have the Baku Hash House Harriers to hang out with while I’m here. As an ex-pat working in the same office and living in the same hotel as a bunch of other ex-pats, there’s a real danger of ending up spending all your time working and socialising with the same people. (Or of not socialising at all.) Given the pressure-cooker that ceremonies work can become, I try to make sure I get to the weekly hash runs on Sundays and to the casual Thursday night runs as well. Having hashers to hang out with means that sometimes activities come up that don’t involve running too, which can often be a Good Thing. One of the local Baku hashers I met last time is the lovely Raul, a UK-based professional living in Baku and working on something to do with the government. Or possibly agriculture or er, economics. Or maybe all three. As you can tell, I’m totally plugged in to the details of Raul’s professional life. Whatever his job is, Raul is a bright and unflinchingly cheery soul and is utterly intrepid about getting to know the city and the country as a whole. He’s been here for a couple years now, and seems to have filled every spare moment with trips and tours and solo adventures on local buses to distant landmarks. 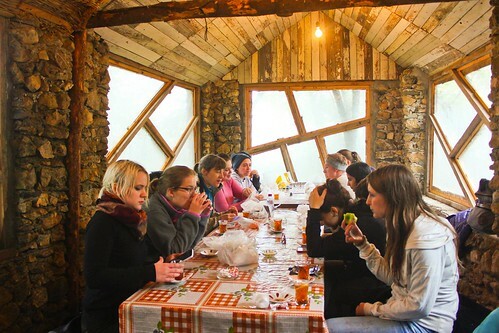 As such, he frequently suggests activities to shake out the cobwebs and escape Baku, including this week’s topic, a day trip to the beginning of the Caucasus Mountains near the tiny village of Galaati. This one was organised by an outfit currently called Bag Baku. I never managed to see much outside Baku on my first stint and Raul promised that the weather forecast was good, so despite the fact that I didn’t bring the right footwear or jacket for autumn trekking, I fetched up at the meeting point on Saturday morning with a positive attitude, a packed lunch, and a pair of dry socks (just in case). After a surprisingly short wait, we set off in a minivan full of other expats only a few minutes past 8:00am, which is frankly astonishing for Azerbaijan. Raul is fond of reminding me that in his experience, the Azeri language does not have a way of expressing the concept of something starting exactly at a specific time. “FROM, not AT” is his frequent refrain, meaning that when you say “Be at work AT 9:00am”, in Azeri that translates to “Be at work starting from 9:00am” which I’m sure you can see is a very different concept. I’m skeptical about whether this is strictly accurate, linguistically speaking, but if it is it would explain a lot. 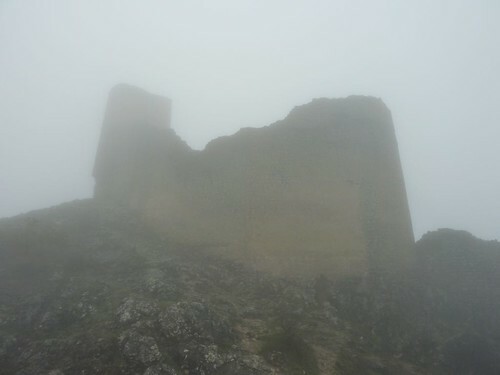 "Chirag Gala (which means Lamp (or Light) Castle in Azerbaijani) is a ruined ancient fortress overlooking the Caspian coastal plains north of Baku in Azerbaijan. 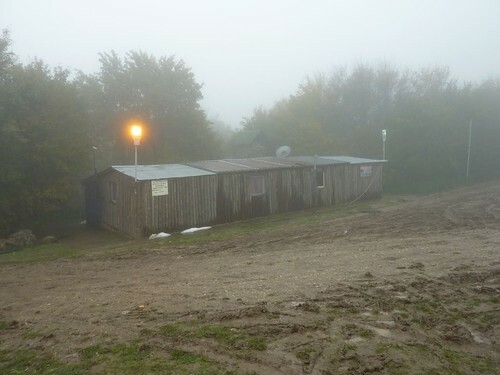 It is located on the top of a mountain, in the Guba Forest. It was constructed by the Sassanid Persians in the 5th century and was used as a defense for the khanate of Quba in the 18th century. Today the Chirag Gala is a historic site and is frequently visited by tourists. Because of the large rocks and rough road the Chirag Gala is almost impossible to reach with any vehicle. Most tourists and people travel by foot to the top of the mountain." It seemed like a good goal, though the closer we got the the village that would be our starting point, the worse the weather got. When we left Baku it had merely been overcast, but by the time we reached Galaati there was a light misty rain, so we donned rain gear and I resigned myself to the idea that my feet were going to be wet for most of the day and that my running shoes - the closest thing I have to appropriate footwear - would probably never be the same. 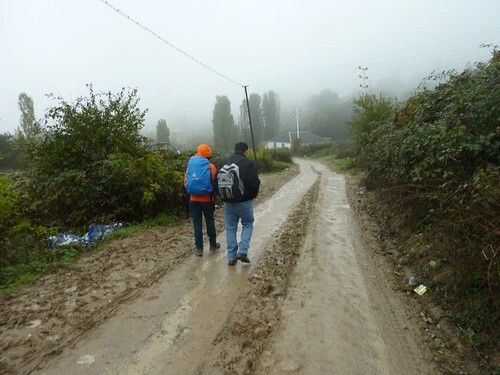 Here are Sabina from Bag Baku and Raul at the start of the trek, as we’re passing through the village. This was one of the better roads. Sabina was our guide for the day, though “guide” turned out to be a strong word. Having been on many guided tours on several continents, I was expecting the usual running commentary as we ascended - historical context, local flavour - that kind of thing. Instead, it was mostly a companionably quiet trek in the rain. If asked, Sabina would venture an opinion but she was not a tour guide as we know it. This, coupled with the increasingly wet and muddy state of my feet, left me wondering if I’d made the right choice about how to spend my Saturday. I trudged along with Raul and Sabina and the rest of the group strung out a long way behind us. 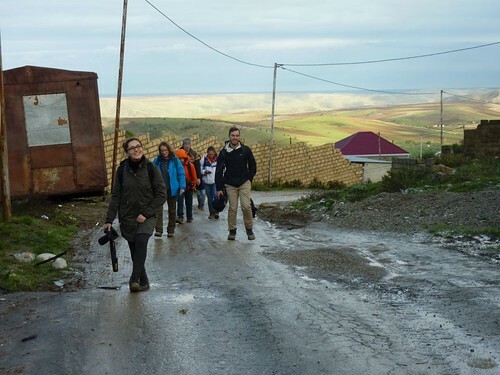 They were made up mostly of two different categories of people - Turkish Language Students, and Locals With Even More Inappropriate Footwear Than Me. The Turkish language gang are around because their program had been diverted to Azerbaijan after the coup in Turkey. (The Azeri language is very similar to Turkish, and Baku was deemed a much safer location.) And the locals… who knows? I only know that one of them made it half way up the mountain in high wedge-heeled shoes before digging a pair of runners out of her bag (thus ensuring she ruined both pairs). And another woman made it all the way to the top and back carrying a large black leather purse and a separate tote bag. I think it’s safe to say we were a mixed bunch. 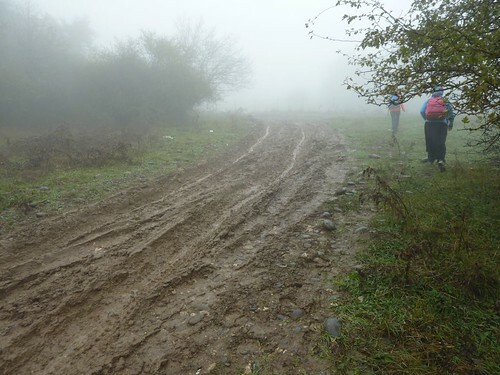 The road continued to get steeper and muddier, and the higher we got the more mist closed in. Often it was better to walk along the grassy verge. It was a winding four kilometre walk from the village to the start of the Chirag Gala Path - the point where the vehicle road ends and it’s only accessible on foot. Though I would not want to drive a vehicle on much of that vehicle road. Raul, in his capacity as Guy Who Knows Way More About Azerbaijan Than Me reports that the government allocates just 3 manat (about £1.50) per person per month for services in the regions of the country outside the main cities. That’s for all government services - education, health care, postal services, water supply, infrastructure, dog-catching, patriotic red, blue and green bunting… the lot. So I guess it’s no surprise that the roads around Galaati are not exactly Autobahn quality. In any case, we eventually made it to the top of the road and paused there before heading on the final leg of the upward climb. We paused because there was a small tea house that would later be serving us hot tea, and it had a bathroom. It also had two lovely friendly dogs, a flock of geese and two turkeys. Naturally. The last bit of the path was certainly the most challenging, not least because the weather continued to worsen the higher we got. Or perhaps it was simply that we were climbing higher into the clouds. Either way, the path was narrow and wet and slippery and the going was slow, though the two dogs seemed to have no trouble at all and accompanied us all the way up. 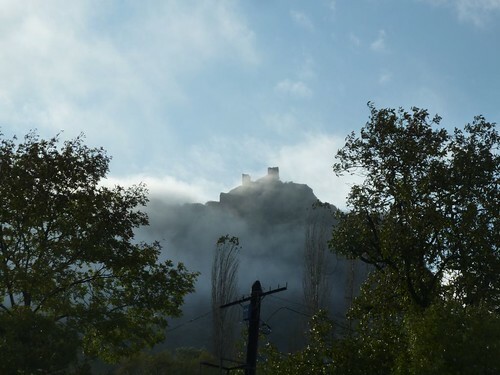 Finally, the castle emerged from the mist. This is as much as it emerged. Truly, I am not kidding when I say it was misty. I’m also not kidding when I say it’s a ruin. 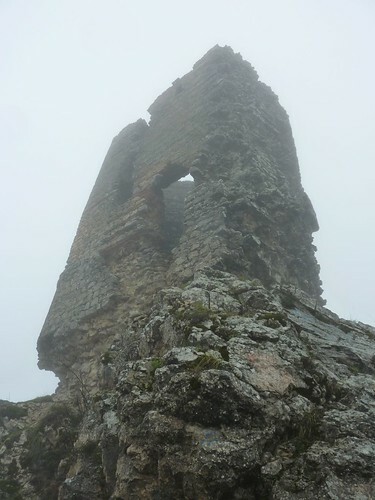 There’s not much left of the castle, and it’s hard to get a sense of the shape it once might have taken. 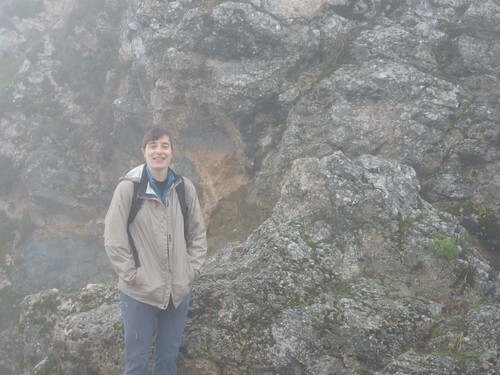 Still, it did feel like an achievement to get there and despite the fact that it was cold and wet, the mood of the group lifted as we clambered around on the slippery rocks exploring. It was the kind of thing that would give a UK-based Health and Safety Consultant apoplexy. Steep climbs, wet surfaces, and not a guard rail in sight. 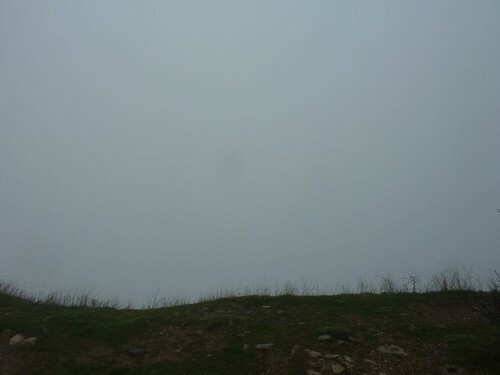 It might be a good thing that the mist was so dense, so we couldn’t see how high up we were. The view from the top. As you can see, I was not exaggerating about the low visibility. The main tower. Another scrap of info I found online claims that the tower "was built over a seam of oil and gas which allowed for lighting up signal fires visible to the distance of several dozens of kilometers”. Eventually we all got tired of standing in the mist with wet feet. (Or maybe that was just me.) In any case, we picked our way back down the mountain, with appropriately comedic moments of slipping and falling in the mud, which happened at regular intervals to about half of us. When we finally made it back to the tea house we were directed out behind the main house to a sort of rustic outbuilding that did not look quite as cozy as one might like after hiking up and down a mountain in the rain. Luckily, it turned out the place had a nice little wood stove that warmed it up very well, and the table was set for tea in the traditional Azrbaijani style. As we warmed up and draped wet clothing near the fire, one of our hosts brought out the samovar, which was set on the stove. The samovar holds water heated in the outside jacket by a tiny fire in the inside chamber, while the tea pot holds very strong black tea and sits on top of the samovar. When all was ready he filled each glass halfway up with strong tea and then topped up with hot water. Often it’s traditional to serve this sort of tea with jam. Not with jam in the tea, though. The jam is simply eaten with a spoon. A bit tooth-achingly sweet, but this is a truly sugar-loving nation. The candy section in my local grocery store is larger than the produce section. And Gerald reported seeing an Azeri coworker put eleven cubes of sugar in his coffee last week. We sat around thawing and drying and chatting and eating our packed lunches. And I took advantage of having a few Russian-speaking locals around to brush up my language skills a bit, settling one and for all the distinction between ходить and приходить (Not). Once we’d thawed out and eaten and drunk our fill of tiny glasses of tea, we slowly moved out for the long walk back to the van. Happily, as is usually the case, the way back seemed shorter than the way out, and the weather improved as we went. And just as we reached the outskirts of the village, the clouds parted and we saw patches of green countryside and blue sky. And, of course, we saw our castle. How lovely would it have been to have been at the top when the mist cleared? Not so lovely to want to climb back up. At least not that day. Rounding the final corner with beautiful countryside spread out in the distance. I got to put on my dry socks, but kicked myself for not packing dry shoes as well. Rookie mistake. And the trip back to Baku was surprisingly quick and quiet, with quite a lot of napping by quite a few people. Despite the fact that I was a muddy mess, I stopped in at a smart new qutab shop near the hotel where I warmed up and dried out a bit more. This shop is a definite keeper. They had three Azeri women making the qutab on the spot - rolling out the stretchy dough with skinny taped rolling pins, filling them to order, and then slapping them on the traditional convex shaped gas fired grill, which looks a bit like an upside-down wok. The qutab shop staff seemed to find me fascinating, asking about why I was so muddy, and bringing me a damp cloth to wipe the dirty spots off my day pack. I managed to sort of explain what I’d been up to with broken Russian and photos and hand gestures, and ended up having a perfectly lovely time waiting for my takeaway order. And when I finally got home and put my feet up with my fresh qutab and a glass of wine I was suffused with the satisfaction that comes from sitting comfortably after a day of chilly physical effort and minor discomfort. And of course the next day was the most perfect, bright, warm, sunny fall day you could imagine. Then again, my running shoes dried out fine so, you know, it's all swings and roundabouts.